In President Forever 2012, you can switch between viewing the estimated primary delegate counts, and the completed primary delegate counts. Each bar represents how many delegates the leader has, and the line in the middle is the threshold line – once the leader’s delegate count crosses that line, they have a majority of delegates and so have the nomination. 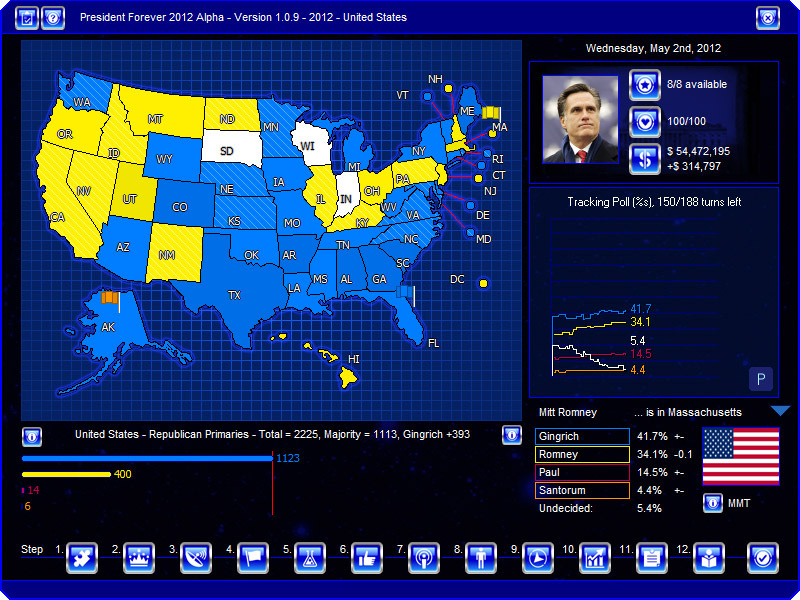 Looks great, but are we going to get the vote totals per state for the primary? Next version will probably have %s included in the primary results pop-up box, vote totals are a little more complicated – we’ll see. Negotiations will be included in a future release, not tonight’s.